Version 1.2 adds video zoom functionality to the media player, a “Recently Visited” section to the web browser, a screensaver that pops up during pause, and support for MicroDVD .SUB files. There’s also a ton of bug fixes and improvements to existing features. I think you’ll agree that version 1.2 is well worth the update, and if you’re not already an aTV Flash user, maybe the new features and improvements will persuade you to make a purchase. 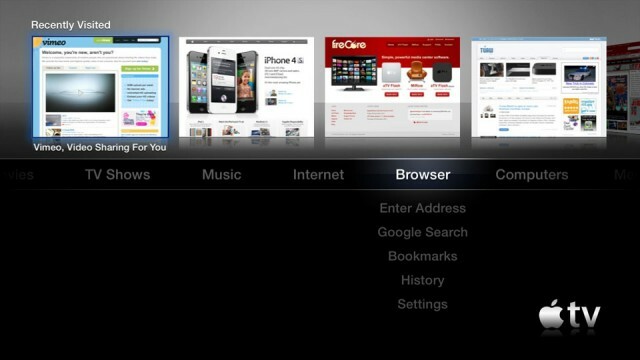 You must remember, however, that to install aTV Flash (black), you will need a jailbroken Apple TV. You can get your hands on version 1.2 now via FireCore’s website, and new customers can purchase the software for $30.